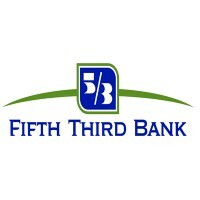 Fifth Third Bank styles itself as “The Curious Bank”, starting with its name which is curiously derived from the joining of two banks during prohibition when ‘Fifth Third” was considered better than “Third Fifth” which might have been a reference to alcohol. If you’re curious about getting started in this industry, you can find the link to submit a Fifth Third Bank application below. The original bank was founded all the way back in 1858, but it’s not just the Fifth and Third banks that have come together to create the company of today, but actually numerous smaller banks have been acquired over the years. Now it has over 1,300 different locations across the USA with its headquarters in Cincinnati, Ohio. The bank has a long history of being heavily involved in sports at the minor league and collegiate level. It sponsors stadiums belonging to the Toledo Mud Hens and the West Michigan Whitecaps, two minor league baseball teams associated with the Detroit Tigers. It also puts its name to arenas for the University of Cincinnati’s basketball teams and the football team of Kennesaw State University. Fifth Third Bank is committed to aspiring to higher ideals. It has a dedicated diversity program to promote diversity both in its customer base and the people that it hires. There is also a successful community involvement program that promotes corporate and social responsibility including a strategy specifically designed to aid veterans. Fifth Third Bank careers span many different divisions. In the retail side there are job opportunities for tellers, especially bilingual applicants, personal bankers and managers. There are more specialist careers for mortgage and loan advisers. Experience won’t always be necessary although it will help your chances of employment. Good language and math skills are essential. There are openings in other departments including Audit, Wholesale Banking, Marketing, Operations and Strategic Sourcing amongst others. Many positions will require you to have a degree in a relevant subject such as finance, accounting or economics along with knowledge of banking processes. Management experience in a related field is needed for many managerial roles, although there are some training programs for the right candidates. How old do you have to be to work at Fifth Third Bank? You must be at least 18 to apply for jobs at Fifth Third Bank. The opening hours are typically 9am to 6pm on weekdays and 9am to 2pm on Saturdays. Fifth Third Bank jobs come with a Total Rewards Package that includes benefits like a 401(k) retirement plan, a health and other insurance package, flexible spending accounts, paid vacation and holidays and an employee discount program. There is also a separate banking channel for employee financial services. All career areas come with additional training and advancement programs. CSR/Teller – This is a customer-centric role where you will be expected to handle various transactions and advise customers based on their needs. You will have responsibilities including processing credit card applications, keeping a balancing record and ensuring that sales targets are met. A good knowledge of retail banking is preferred. The pay is usually $12/hour. Retail Personal Banker – In this role you will have to get to know your customers well to be sensitive to their specific needs and issues. You will help to advise them on various financial products such as savings accounts, mortgages and loans. Personal Bankers employ marketing strategies when advising customers. The average salary for this position starts at $41k/year. Financial Center Manager/Associate – As an Associate you will undertake a 3-4 month training program to prepare you to be a Financial Center Manager. There you will rotate between different divisions to learn what the position entails. As a manager you will oversee the loans process, drive sales goals and help to create and maintain business relationships while supervising your staff. The salary is around $68k/year. Commercial Portfolio Manager – Working in this role you will assist the Relationship Managers in handling duties including daily underwriting, monitoring credit, research and blue memo preparation. There is a customer service aspect to the role, maintaining good relationships with existing clients and helping to seek out new clients. Salaries start at $62,000 a year. When you search Fifth Third Bank jobs online you will find the ‘Preparing for the Interview’ page encouraging you to practice interview questions like these. Why do you want to work at Fifth Third Bank? You might be submitting dozens of applications a day but every company is looking for its employees to be dedicated to them. Read up on the company and talk about what in particular made you want to apply there. What do you think is most important to succeed in this company? This questions tests whether you are familiar with the kind of culture the company wants to promote and if you have looked into the job description so that you know what qualities they are looking for. Tell me about your team leadership experience? This doesn’t necessarily have to be related to banking as long as you demonstrate that you developed and utilized skills that are transferable to the job you’re applying for. Have you ever come into conflict with a coworker? You can describe a difference of opinion you may have had in your previous employment. They’re looking for people who are innovative and outspoken but are also able to keep situations professional and productive. What is your greatest strength? Talk yourself up a bit and say why your biggest strength is useful to the business, how it influences others and how you developed it in the first place. It’s easy to find out how to apply for Fifth Third Bank online. Search for Fifth Third Bank jobs and create an online profile, for this you will need to fill in some personal details and upload or create a resume. You can browse the different jobs and make a direct application to a position. You can continually update your profile and apply online for more than one job. There isn’t an option to download a printable application for Fifth Third Bank or to pick up a free application in person at one of the local branches. The best way is to use the online application form facility provided on the website. This is also true for their University Recruitment schemes. Once you’ve submitted your Fifth Third Bank job application online they will assess your application against the job requirements and other candidates. You will then be contacted to set up an interview with a hiring manager. Depending on the job, you may be invited to more than one interview before you are made an offer. Before the interview, read the guidance on the careers page of their website. Make sure you are well presented when you arrive and greet the interviewer in a polite and friendly manner. It’s important to smile and maintain eye contact throughout. Get started on your Fifth Third Bank application today and you could be starting your new job within a couple of weeks. PNC: See our resource page for more information on PNC careers. PLS Financial: For employment at PLS Financial visit the application page. Ernst & Young: Checkout the application page for work at Ernst & Young. Pay O Matic: See our resource page for more information on Pay O Matic careers. Prudential Financial: See our resource page for more information on Prudential Financial careers.